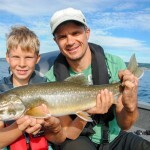 Our fishing guide, Henrik Olsson (Jönköping area) offers guided fishing tours for zander (pikeperch), pike, and char. We can also help you, to arrange guided perch fishing tours in the Kalmar area. 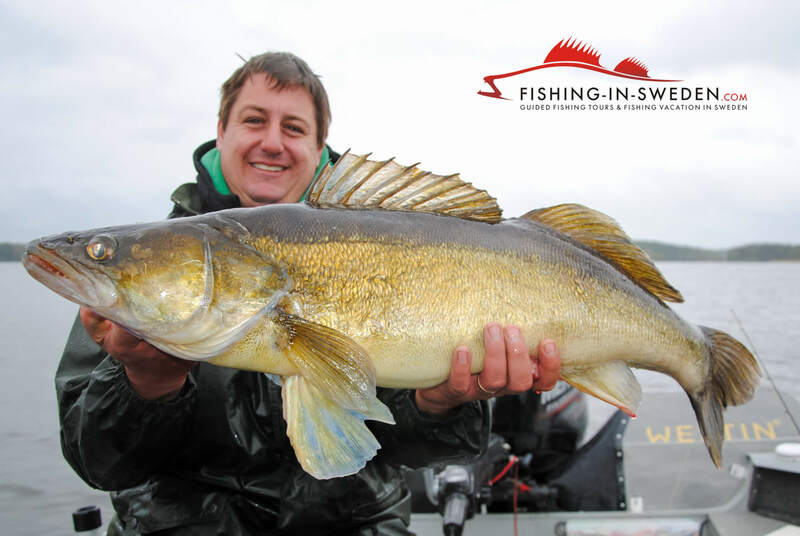 The more fishing experience you bring the more advanced and fun things we can do with you. 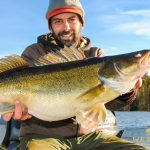 Apart from catching your dream fish, we are happy to teach you new fishing methods like pelagic vertical jigging for zander or vertical speed jigging for char, which makes our guided tours particularly interesting for anglers that are looking for a new challenge. 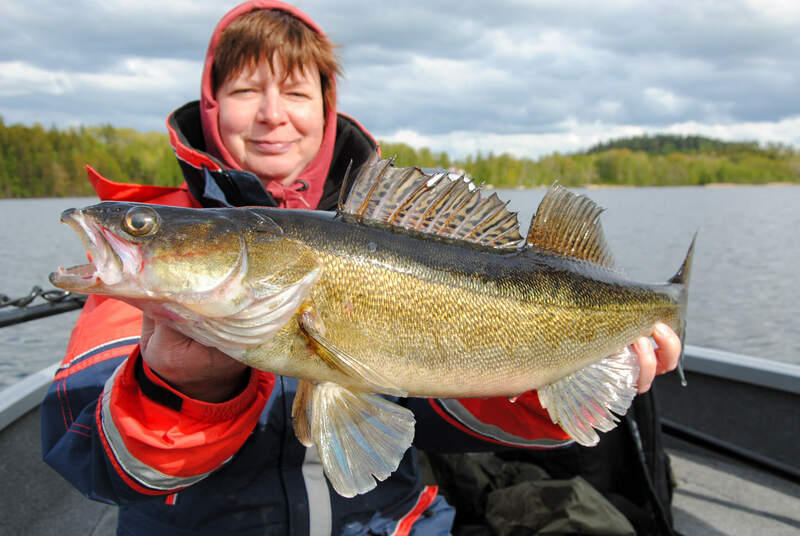 The price for our guided fishing tours only depends on the length of the tour, there is no price difference between fishing for zander (pikeperch), pike, perch or char. * The prices given in EUR are just for your orientation. The fishing guide is to be paid in SEK. These prices include guided fishing for up to 2 people, the boat, the fishing guide, all fishing equipment and life vests. If your party consist of more than 2 people we suggest you share a full day guided fishing trip within the group and switch after 5 hours. This way any member of a group of 4 would have the chance to fish with a guide for 5 hours for only 1.125 SEK. 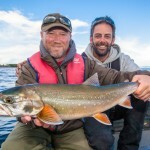 Book your Guided Fishing Tour now! 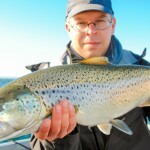 Trout as bycatch on Vättern. 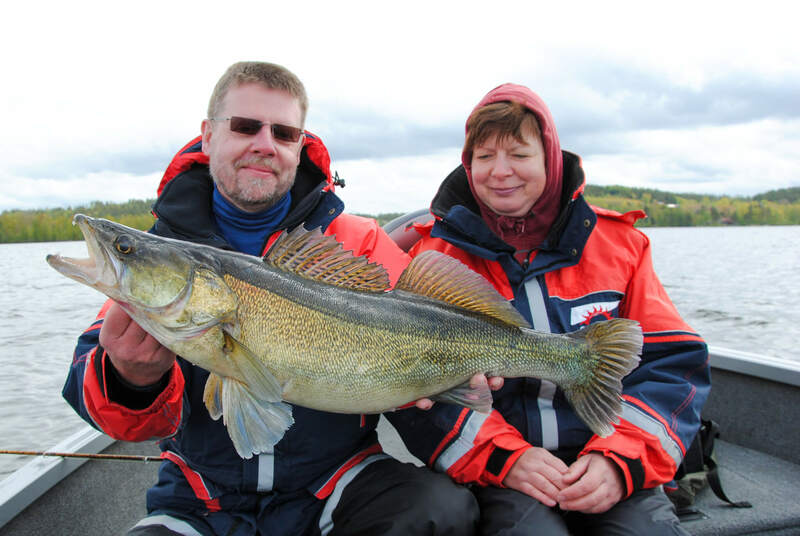 Most of our guided fishing tours in Sweden take place on our fully equipped Alumacraft boats. 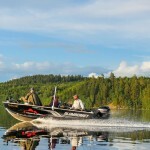 Fishing Guide Henrik Olsson operates his tours on an Alumacraft Classic 165 with 2XB Hull system, Honda 4-stroke engine, three Humminbird Onix units with side image technology and i-pilot Link-Minnkota Terrova 80. 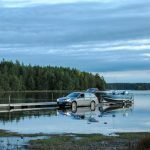 This safe, spacious, yet very flexible boat fits most fishing methods in almost all Swedish waters. 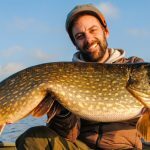 For those looking for an awesome present we even offer guided fishing tour gift cards (presentkort guidad fisketur) – just ask us! Unbeatable feeling when setting the hooks hard in the jaws of a big #zander! 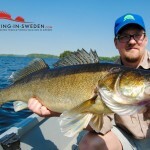 / Henrik Olsson If you would like to test or learn pelagic vertical jigging for big zander conatct us on our Facebook page Fishing in Sweden. 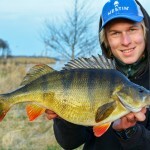 1.9kg Monster Perch caught by Henrik Olsson in Sweden! Elke & Jörg mit Ihrem größten Schweden Zander. “Das Guiding mit Henrik hat uns beiden viel Spaß gemacht. Henrik hat es geschafft, trotz der widrigen Wetterbedingungen, uns an den Fisch zu bringen. 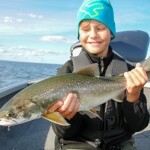 Zander Fishing in Sweden: “Five stars nothing less! Three friends and myself from Germany contacted Fisihing-in-Sweden on really short notice. Most of us had none or at least no big experience in fishing so Michael organized everything for us. With Henrik as guide and state of the art equipment (from him) we where able to fish three zander that day! 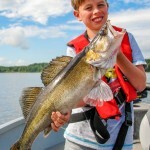 “Thanks a lot for a wonderful trip and the lesson of an amazing method to catch big zander. 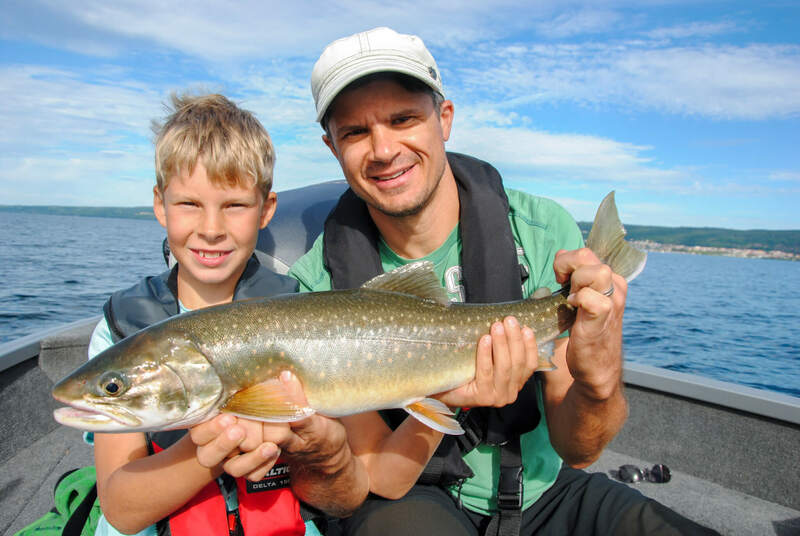 Henrik is a great guide, who look after his guests catching fish (and not on his own). Fishing-in-Sweden.com © 2019. All Rights Reserved.